The African Regional Committee is the fastest growing IBE region. In 2000 IBE had just seven members in Africa; now, seven years later there are 18 Full Members in the region. 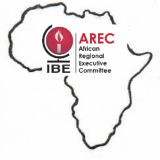 The African Regional Committee is now the second largest of IBE’s Regional Committees after Europe. Every IBE Member in Africa is a Member of the Regional Committee Africa.